There are some brand-new features just waiting for you in Virtuous. And while we don't necessarily like to brag, we just had to tell you about them (seriously, it's required). Want to know what's new? Well then, read on! The ability to mark a note as private in Virtuous means that only users with Private permission can see certain notes. Now, users will be able to mark their own notes as private and still be able to see their own notes. Users without the private permission won't see other users' private notes, but they will see their own. And as a bonus, Admins can now set up specific permissions to have certain users automatically default to private notes. So if marking notes as private is critical, that means one less thing to have to remember every time you log a note. With more people using and creating private notes, we've also added a new lock icon to the Notes tab view to quickly identify which notes are private. "This all sounds great about notes," you might be saying, "but what about tasks?" Excellent point! We've also added a new permission setting on Contacts so Admins can restrict certain users to seeing only their own tasks. Just look for the "Restrict Task by Owner" checkbox on Contact permissions. Have you ever had a task assigned to you and thought, "If only I knew who assigned this to me." Well, we heard you! (Not really, of course. We can't read minds. But we're working on that.) 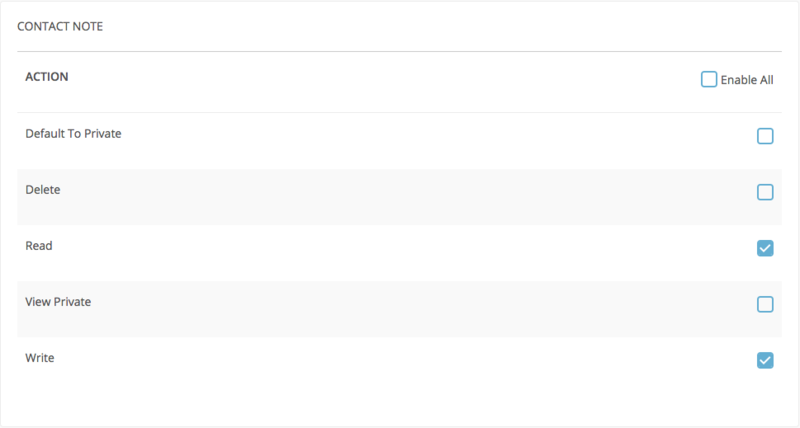 Now, every task will include an indicator that lists the user who assigned the task. Not sure how to proceed on a certain task? Well, now you'll know who to ask. Sometimes, you just need to store a link to another site. Maybe it's someone's personal blog. Or their peer-to-peer campaign page. Or their photography portfolio. Whatever it is, now you can create a custom field and store the url as a link. Just select "Link" as the custom field type. Up until now, clicking export on a query meant that there was no going back. But no more! Queued exports can now be cancelled from the Exports screen. But you don't want to wait too long; once an export has started processing, it can no longer be cancelled. Campaigns and Workflows are both critical for your marketing efforts, and now they can play nicely together. 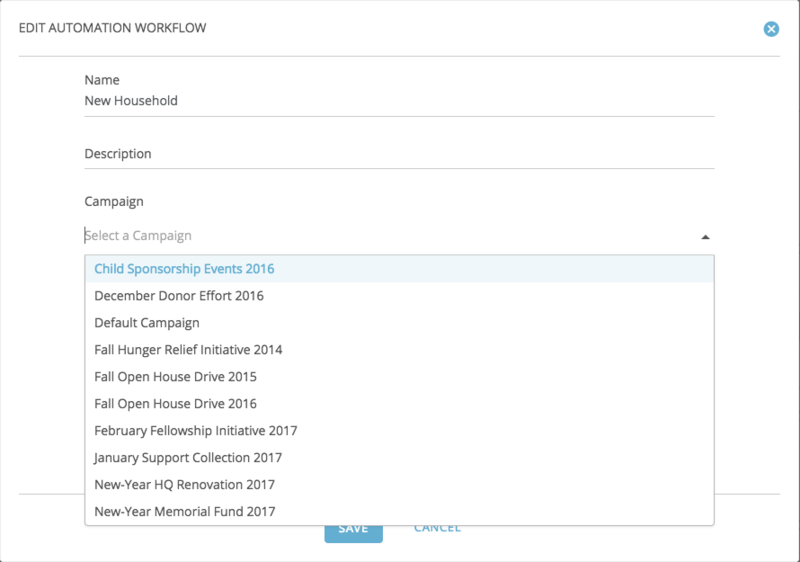 On the settings screen for any Automation Workflow, you can now select a Campaign by name to link the two. The selected Campaign will be displayed on the Automation screen when viewing Workflows. As with every release, this month's update also includes a number of other fixes, tweaks, minor modifications, and assorted nudges. If you have any questions about these or other features, feel free to contact our team using the support widget in Virtuous, or drop us a line at support@virtuoussoftware.com.